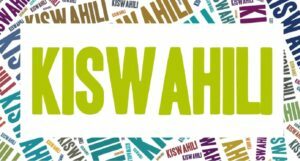 Why do you need Swahili Translation Services? Tanzania, Uganda, the Democratic Republic of the Congo, and Kenya all have Swahili as their national or official language. It is also one of the official languages of the African Union, as well as the East African Community. Swahili is recognized as a powerful and influential language in the realm of politics and economics, as well as having a fair amount of social clout. There are more than 100 million people in all of Africa who speak Swahili, also called Kiswahili. It has long been used as a trade language in the region of Africa known as the African Great Lakes. International media companies have already taken note of this and implemented it in order to gain viewers and readers, such as the BBC and Voice of America. Swahili is a very important language in many countries in the African Great Lakes region, but if you intend to do business in Kenya specifically, it is essential. Kenya has one of the largest economies in both Central and East Africa, and has grown enormously in the telecommunications sector since 2006. You would be wise to take this into account. Besides telecommunications, Swahili is already showing signs of becoming the next big IT and tech language. Countries such as Kenya are investing more and more in these areas, and the tech culture is already expressing itself in Swahili. This is just the start of a new boom in Swahili-driven tech and IT innovations. The growth we have seen in social media, digital information, and big data related to Africa is a huge reason to think about Swahili localization. Researchers who are interested in finding out more about economic growth in Africa would benefit from an understanding of Swahili, or at least from working with a translation agency. Africa may not be at its best in terms of trade between African countries, but logistics are definitely improving. One huge part of this is the implementation of languages used for trading. Africa is home to almost 2,000 different languages, so any language chosen to help with communication between trading countries would rise in prominence and importance. In this case, Swahili is in exactly the right position to become one of these trade languages. Swahili has its origins in the slave trade of Zanzibar in the 6th century AD. At the time, Zanzibar was under Arab rule and the language was utilized as a trade language. More and more trading routes were created as time went on, and so the number of traders and merchants speaking Swahili did as well. This culminated in the first examples of Swahili literature from the 1700s. By the 19th century, Arab rule in this part of Africa ended and the era of European colonization began. This change influenced the Swahili writing system, as it switched from Arabic script to Latin. Swahili is the most popular language in Africa. Practically every government worker and businessperson in Africa speaks Swahili. The use of Swahili allows for easy communication between Central African nations. As with any language used across a large region, there are some particularities with Swahili that not just any translator can handle. At Alpha Omega Translations it is our priority to ensure your Swahili translation is relevant to the specific market and geographic area you are targeting. We have Swahili translators who work exclusively with their particular native dialect or variety of Swahili, so there is never an issue with terms that are specific to one dialect but not even used in another. Get started with Swahili translation services today!